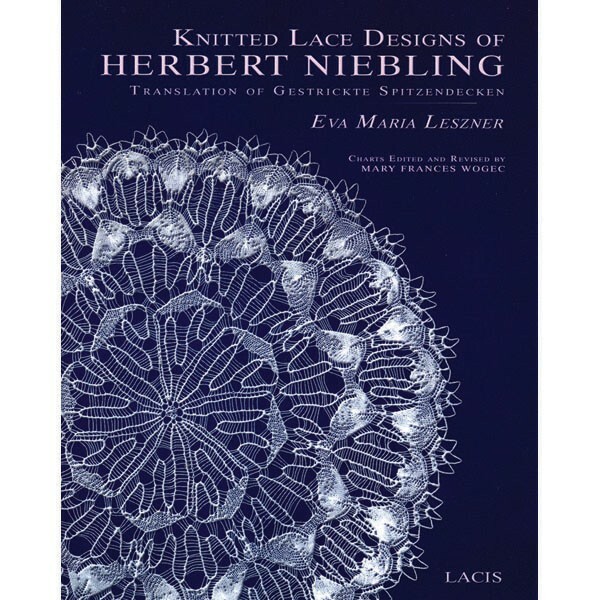 The name of Herbert Niebling has become legendary among lace knitters. In his designs you may find familiar leaves and flowers - but frequently his extraordinary and unique motifs will make you gasp; he seems to bend the "rules" of knitting to near-impossible lengths. Over two dozen patterns are included. Edited and revised by Mary Frances Wogec; includes her full English translation. What a treat. Softcover.